15 Minutes of Mental Toughness Podcast with Dr. 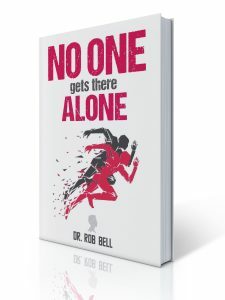 Rob Bell. Listen to Experts from all fields share about Mental Toughness and Their Hinge Moment. Mory Bailey- Started ultra-distance running in 2010. Completed multiple distances 50ks to 100ks driven by the “what if” mindset testing both physical and mental endurance. Eventually answered the call of the “hundo” in 2014. In 2015, she set out to complete five 100 mile races in 8 months, and since then over 30 ultras; 11 of them being 100 milers. As she celebrates her 2nd year of being a cancer warrior, in November 2018 she crossed Indiana, 382 miles from south to north. Denise Poynter- is a wife and mother to six children. She has completed over 30 full-marathons, 9- 50 milers, and IT 100,st . pats 24 hr race, kettle 100, and the Jag 100. She supported Mory during her crossing of Indiana, South to North. 3:28- Greg’s big HINGE moment that happened at just 5 years old. 5:58- How Greg overcame such a huge obstacle at such a young age. 7:15- Why the drive to “prove people wrong” can be such a BIG motivator for success. 8:30- “I deserve to be happy”…the battle with depression that came along with Greg’s journey. 11:50- What Greg learned about himself through pushing his limits. 13:20- “…It’s disproving that little voice in my head…”; Greg talks about the motivators that got him through the tough training days. 14:27- The physical challenges that Greg faces and how he mentally overcomes them. 18:30- THAT feeling of finishing an Ironman. 20:32- What really sticks out to an Ironman competitor looking back on the whole process. 22:14- Greg’s advice for attacking ANY challenge in front of you. 6:06- Where does preparation come into play with the mental toughness game? 7:05- Finding what works for you could be the key to YOUR success. 8:14- The mental components necessary for caddying. 10:08- How Joe moves on from mistakes at the moment. 14:35- How a chip on your shoulder could be a great asset. 19:53- What people might not understand when they watch elite golfers. 21:30- What separates the absolute BEST from the other top players?? 26:23- Joe’s HINGE moment; how he got started with Rickie Fowler. 30:00- What youth golf parents NEED to know. 35:10- The experience of a junior golf star. 49:46- What it means to have a good attitude on the course. Iron Cowboy Podcast on 15 Minutes of Mental Toughness podcast – James Lawrence is an athlete, husband, proud father of four daughters and a son. Currently holds two world record in 70.3 and 140.6 triathlon racing. But, His greatest achievement was 50 Ironman courses, 50 consecutive days, through all 50 States. This mental toughness podcast episode is with Ted Rath. He enters his second season with the Los Angeles Rams. He enters his 10th season at the pro level, previously as an assistant strength coach for the Miami Dolphins and Detroit Lions. Prior to joining the Rams, Rath was named assistant strength and conditioning coach in Miami for the 2016 season. Before his stint with the Dolphins, he spent seven seasons (2009-15) with the Detroit Lions as an assistant strength and conditioning coach. 3:12- What is Mental Toughness to Ted? 4:11- Can you develop Mental Toughness? 6:22- What helps athletes overcome adversity? 7:55- How Ted coach’s players through adversity to better prepare them for game day. 10:40- What’s the culture like among an NFL staff? 12:12- Being vulnerable can actually make you a better leader. 16:08- How getting fired helped to re-center Ted’s focus. 19:56- What people don’t know about the life of a strength coach in the NFL. 21:53- How to maintain life balance with no off days. 23:43- Keeping work at work and letting it go when you get home. 25:54- Something everyone can do to improve their Mental Toughness. This mental toughness podcast episode with Martin Rooney. He is the founder of Training For Warriors. An internationally recognized trainer, speaker, author and pioneer of strength and conditioning, Martin holds a Master of Health Science and Bachelor of Physical Therapy from the Medical University of South Carolina. He also holds a Bachelor of Arts in Exercise Science from Furman University. Martin was a four-time All-Conference, and four-time MVP performer in Track and Field at Furman and a member of the United States Bobsled team. Since the foundation of the TFW system, Martin has traveled around the world to train, compete, and conduct seminars and help prepare world-class athletes and coaches. Martin has been the martial arts consultant to the NY Giants and the NY Jets and a coach on the IFL World Team Champion New York Pitbulls. Martin is currently a purple belt in Brazilian Jiu-Jitsu under UFC fighter Ricardo Almeida and a black belt in Kodokan Judo under Olympian Teimoc Johnston-Ono. 2:00- What is Mental Toughness? 3:30- How do we train the mental toughness muscle? If people just did this one step! 5:30- How a coach builds another’s mental toughness! 7:00- The precise steps a coach needs to take to build someone’s mental toughness. 8:52- How the Salad Bar line builds mental toughness. 12:15- Mental Toughness is “doing what we don’t want to do.” Into the Roar! 15:45- The Hinge Moment of Coach Rooney happened as a 7th grader! 21:16- One impact story of Alisha, a Training for Warrior, who is still fighting cancer! 23:00- The one thing that STOPS Mental Toughness! Alisha has become a model for others! 28:00- How coach Rooney flips the script on the host! TODD HOLLOWELL- A PROFESSIONAL ANGLER IS NOT A COOLER OF COKES. 1:40- Most people have NO IDEA about this part of Fishing. 3:30-Please Walk us through a 10 hour tournament day. 6:14- How does Mental Toughness impact fishing? 7:20- Stuff actually in our control as a fisherman. 10:14- How important is confidence and momentum? 13:00- Your hinge moment of becoming a professional fisherman and getting a sponsor. 17:15- How does your vision impact your mental toughness? 19:07-Helping others get into the sport helps you as well? 21:51- One thing people need to know about becoming mentally tough? Mental Toughness Podcast Episode features- Todd Hollowell is a full-time touring bass professional on the FLW Tour. In 2018, he will enter into his 7th season on the FLW Tour where he has seven Top-20 finishes, highlighted by a 4th Place at Lake Norman in 2016 and a 2nd place at the Costa Championship in 2017. Todd is a 2x-Forrest Wood Cup qualifier, 4x-Costa Championship qualifier, and 2x BFL All-American qualifier. Gary Brackett- Run with the Deer, Hit with the Buffalo. Gary Brackett was an undrafted free-agent in 2003 and won a SuperBowl with the Colts in 2006. He played in the NFL for nine (9) seasons. Gary earned his MBA and is a restaurateur and speaker. His goal is to have 50 Stacked Pickle restaurants in 5 years. Gary has a book which will also be a movie titled: Winning: From Walk-On to Captain in Football and Life. 9:00- The Hinge moment from college basketball to skill development! Wow! 14:03- A player who shot 1/3 3-pointers the entire sophomore season to 7/10 3-pointers in state championship game. Watch- Derick Grant, Harlem Globetrotter, & Microwave Success. How an escalator changed his life forever and became a hinge moment. How can each of us build Mental Toughness? One thing that nobody knows about being a Harlem Globetrotter. Watch- Neil Richmund, Mental Toughness & A Father’s Death. How the death of his father changed his life as a 10-year old. Two paths changed because of the death of his father. If you’re clear on where you are going, your Mental Toughness becomes clearer. Watch- Wil Fleming, National Record Holder in Weight Lifting. How did Wil Fleming’s son power him to a national record in Weight Lifting? The impact of the last “real” conversation Wil had with his mom. The precise way to FOCUS during important competitions. Do we need to fail in order to have success? How to rebound from not losing for over 2 years? Visit Wil- Force Fitness and Performance or instagram. WATCH- Gerardo Torrado, 3 World Cups with Mexico, 20th Professional Year, CUT at age 14. WATCH- Jon Busch, Top MLS GK of All-Time Took 5 Professional Years to Be A Rookie. WATCH- Thaddeus Rex, How Every Great Song Returns to the Chorus & Every Great Business Returns to the Brand. Watch- Mark Immelman, How A Call From Gary Player led to a Masters Win. 13:00 The Hinge moment of helping out a Russian Skier.